“Mad March” is upon us and sleepy old Adelaide town has been transformed into a buzzing metropolis of adventure with Clipsal 500 Supercars, Adelaide Cup Day, Adelaide Fringe Festival, Adelaide Festival, WOMAdelaide just some of the key events livening up the cityscape. 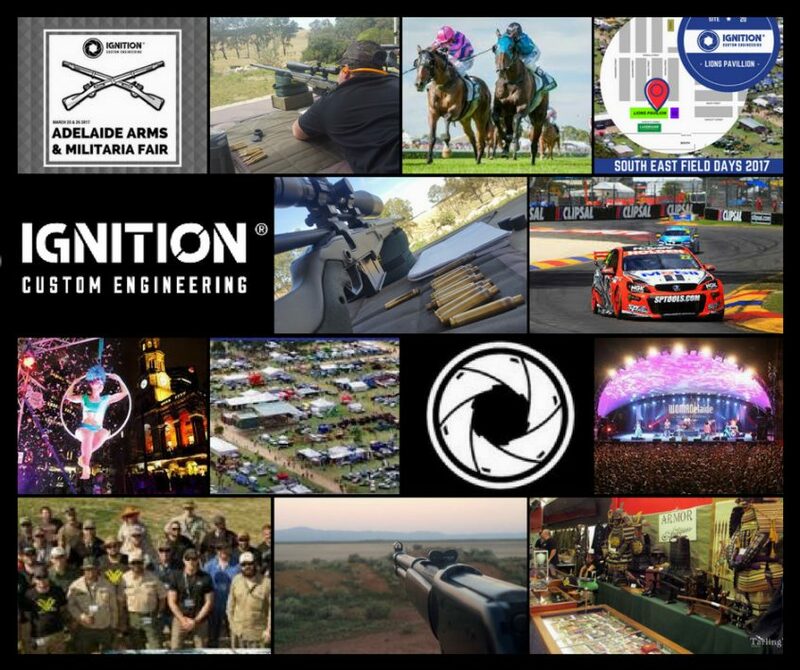 Its also a really busy month for us at Ignition Custom Engineering with a few key events to mark into the SA shooter’s schedule. It also means a few office/workshop closures. With reduced hours and less hands on deck, some things are taking a little longer than usual and we are sorry for the delay! Lead time on new jobs booked this month will temporarily change (from four weeks, to 6 to8 weeks). Online webstore orders may be delayed also by a few days. Please contact us if you have any questions. Thank you for your ongoing business and patience! 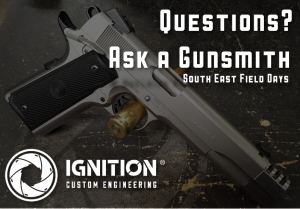 March 15 & 16 – Mobile gunsmith appointments South East SA region (Lucindale/ Naracoorte / Kingston/ Mt Gambier / Keith/ Bordertown / Meningie, etc) bookings can be made at sales@iceng.com.au) Note: March 15 is now booked out. Slots still available March 16 afternoon/evening. 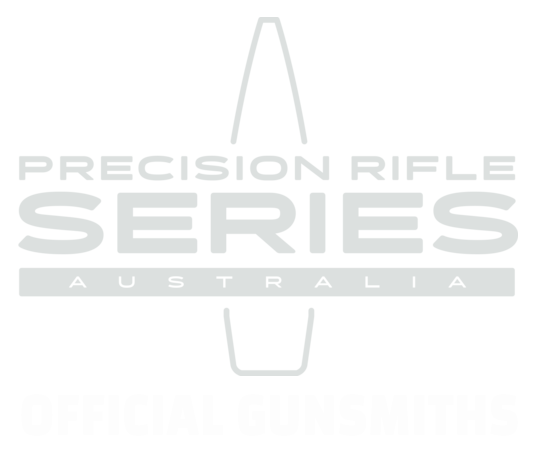 March 31- April 2 – Precision Rifle Invitational Series competition, second stage of 2017. 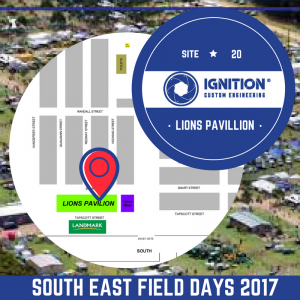 There are several other competitions on this month, but we won’t be able to make them all so we’ve just listed the second stage of the PRI – which is a big one with competition spanning three days on the range). March 14 – Workshop closure (Research/Development on new products). Office remains open. March 20- 24 – Office only closure (staff training). Workshop open by appointment. After such a busy month, bring on April. 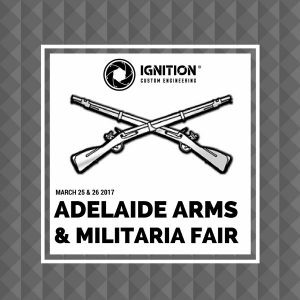 We will have some exciting news to announce…but maybe more excitedly, April brings school holidays and the Easter long weekend which means some rest and relaxation for all Adeladians (or maybe four work-free days in a row to go shooting….same thing, right?). What about you? let us know what you’re getting up to this month!